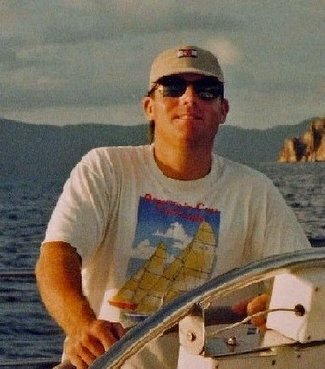 I was only able to sail the Saturday race at the Newport Bucket Regatta due to familial responsibilities…according to reports I missed the best day of the two but for somebody like me, the ability to get out on the water is hard won and enjoyable no matter what. Conditions Saturday morning in Newport Harbor and waters beyond to Narragansett Bay were foggy, light wind from the SE…not the ideal conditions to move the so called “super yacht” fleet that had assembled for the parade. I came aboard the 106’ ketch Avalon after an early morning drive from CT up 95, arriving at the Newport Shipyard around 9:00 AM. The owner and his family were waking up and having coffee, live aboard crew hustling about the boat readying her for the day and my good friend and old captain on Javelin, Tom Motley below decks in his quarters plotting the day’s course. Tom is taking over as captain of Avalon after several years in the South Pacific running the yacht Coro Coro. We’d not seen each other in three years plus and it was a treat to re-acquaint. The stewardess had laid out shirts, belts and caps for the race crew in the main saloon and I suited up, glanced admiringly about the interior of the yacht and headed topside to introduce myself around. That’s when I learned Ron Holland would be aboard Avalon for the duration of the regatta as our helmsman. One of the world’s preeminent yacht designers, Ron’s firm launched Mirabella V in 2004, to date the largest single-masted sailing yacht in the world... I’ll be writing on my Newport Bucket experience through the week so stay tuned to Zephyr. Many thanks to owner Tom Taylor and his family for allowing me the privilege of crewing aboard Avalon and, of course, to Captain Motley for inviting me. You might mention that Avalon won the second race beating Whitehawk over the line by 11 seconds,winning the Newport bucket cup. Credit to Jim Gibson for tactics and Ron Holland for driving as well as the entire crew.